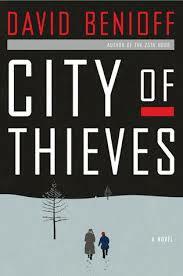 City of Thieves by David Benioff was banned from a Lee County High School in Fort Myers, Florida after a parent complained of the book being “vulgar”. The book had been randomly assigned to approximately 30 students, and the parents and students had a chance to review the work and express any concerns, but at the that time no concerns were brought forward, though according to a local news report, some students did ask to exchange City of Thieves for another book. The news station said they were able to get a hold of a copy of the book and that the language was so “questionable” they didn’t feel they could share it on television, however they did pull quotes out of context from City of Thieves, and flash them across the screen with the inappropriate words redacted. But it is unclear as to whether LCSD followed it’s own policies for “Objection to Instructional Materials Presently in Use” as set forth in The School Board of Lee County Policy 2.18. To read the rest of the necessary steps a book challenge must follow in Lee County, check out Policy 2.18. The importance of creating and following school policies for objections to materials is creating a balance between parents, students, and community members feeling heard in their concerns, without infringing on the first amendment rights of the students of the district. While a parent can help their child decide on what books are appropriate for them, one parent can not make that decision for every student in the district. Keep an eye out on CBLDF.org, and our Facebook, and Twitter, to get updates on this recent book ban and similar stories.